to be held in the beautiful ski resort of Champéry, Switzerland, February 3-8 2019. This event is organized by the School of Engineering of Valais and the Automatic Control Laboratoy of the Swiss Institute of Technology in Zürich. 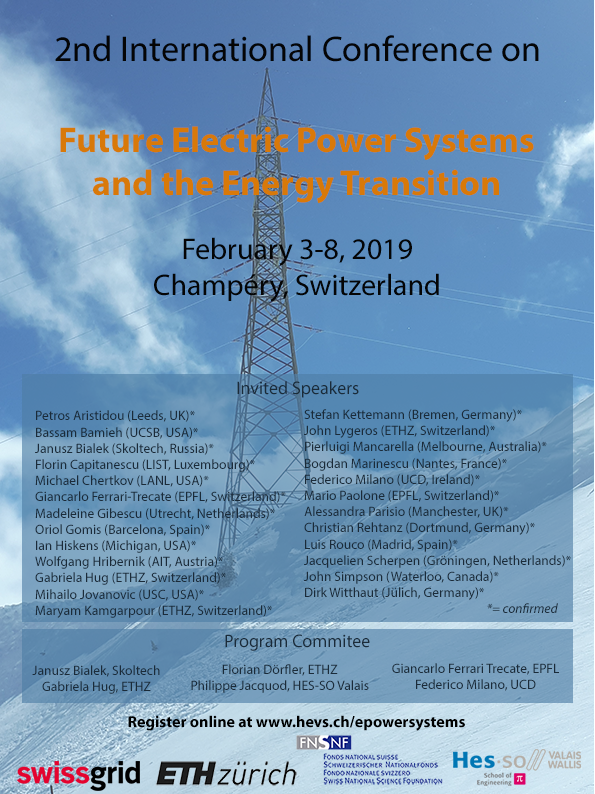 The workshop gathers a panel of speakers and an audience of international experts in the field of electric power systems to identify current and future challenges, as well as opportunities facing electric power systems in the context of the energy transition. For informations on the conference program, the registration process, the call for papers, the conference location and local accomodation can be found by clicking the appropriate tab in the menu on the left.